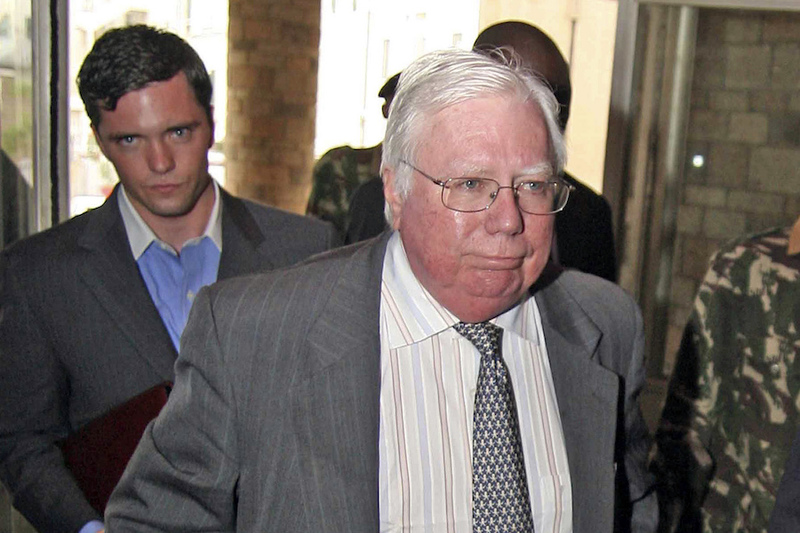 WASHINGTON (CN) – Conspiracy theorist and author Jerome Corsi accused Special Counsel Robert Mueller in a federal complaint Sunday of having put out a “fake narrative” about Corsi to pressure him into testifying against President Donald Trump. Corsi, 72, has come to the fore of late in Mueller’s probe of Russian interference in the 2016 presidential election and potential collusion with the Trump campaign. A draft document reported by NBC News last month shows Mueller’s office believes Corsi knew ahead of time and alerted Trump confidant Roger Stone that WikiLeaks was planning to release hacked emails from Clinton campaign chair John Podesta. Represented now in his 14-page lawsuit by right-wing lawyer Larry Klayman, Corsi has an innocent explanation for the insight. Claiming that he noticed an earlier dump from the radical transparency group did not include emails to or from Podesta, Corsi says he merely deduced WikiLeaks’ plans, and that Mueller has twisted his statements to suggest he was a tool in the Russian government’s attempts to influence the presidential election. “Based on these misrepresentations by defendant Mueller and his leftist and Democrat partisan prosecutorial and ethically and legally conflicted staff, defendant Mueller has threatened to indict plaintiff Corsi and effectively put him in federal prison for the rest of his life unless plaintiff Corsi would provide the false testimony that they demanded, even after being informed that the testimony desired would be false,” says the complaint, which was filed in U.S. District Court for the District of Columbia. Corsi also accuses Mueller’s office of leaking information to reporters in violation of privacy laws, and says the government is conducting “unconstitutional surveillance” of him in an effort to force him to testify against Trump. Corsi wants more than $350 million in damages and an injunction against Mueller. Corsi last week asked the Justice Department to begin a criminal investigation of the special counsel for misconduct. A spokesman for the Special Counsel’s Office declined to comment on Corsi’s suit on Monday. In addition to Klayman, Corsi is also represented by New Jersey attorney David Gray.